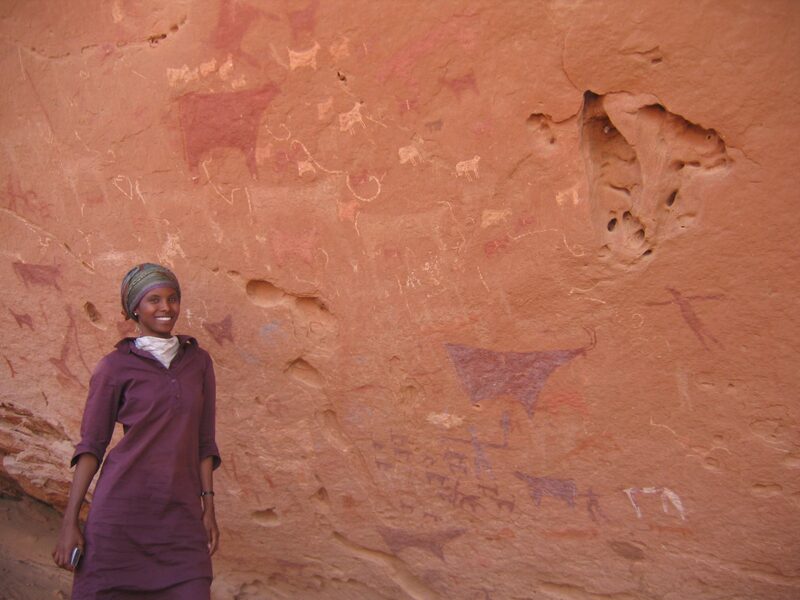 When, as a child, she had to flee Somalia’s civil war, she did not suppose that after many years she would return to discover monuments from thousands of years ago as the first and only archaeologist in this country. A woman to be next. Thanks to her, Somalia, or more precisely its part – Somaliland, which declared secession in 1991 – ceases to be known only as a country of war and pirates. Sada Mire is 35 today. She is the granddaughter of a camel shepherd and the daughter of an officer educated in Russia thanks to a military scholarship. She was born in northern Somalia, but up to the age of 13 she was raised in the capital – Mogadishu. – My parents tried to provide me and my siblings with a normal childhood, but we had to learn in orphans’ school because other schools discriminated against us – she wrote to Gazeta in one of the emails. Sady Mire’s father was persecuted by the regime of dictator Siad Barre. Exhausted by torture and deprived of medical care, he died in 1989. Two years later, after the overthrow of Barre, the ongoing civil war in Somalia began. Shortly thereafter, my mother decided to escape. With the sisters Sadah and Sohur, today a doctor, she left Mogadishu on the back of a truck belonging to one of her relatives. They had to hide from thieves and rapists attacking refugees. Their journey to freedom lasted for a year. They survived it thanks to the sale of mother’s jewelry. – We felt like a zombie. We simply went ahead without thinking about anything, but my mother took care of our safety – recalls Dr. Mire. They managed to get to Sweden. It was the middle of winter, everywhere white, ice, snow. The first association – with a glass of milk straight from the fridge. After traumatic experiences, the first months in a peaceful country were simply surreal for us – he says today. It was in Sweden that Sada Mire became interested in archeology. When proud of their peers’ heritage boasted of the Vikings, she began to ask: – And what is the legacy of Somalia? What is its history? She chose archaeological studies and zoologyarcheology at the University of Lund. She continued them in England. She defended her PhD on religion, rituals and sacred archaeological landscapes in Somalia at the Institute of Archeology at the University College of London, where she now works. He divides his time between London and Somaliland, where he is the head of the antiquity department at the Ministry of Culture and Tourism there (and a consultant at the UN). He already has more than a hundred outdoor sites with rock art, ruins of medieval cities, burials from millennia and early Christian cemeteries. Until her arrival, none of these monuments was registered, and they are extraordinary simply wealth. Rock paintings in Dhambalin have 5,000 years, colorful drawings of the full moon, crescent moon and geometric signs in Dawa’aleh – about 2 thousand, the ruins of the Arab city of Aw-Barkhadle come from the thirteenth century. Dr. Mire suspects that there may be more than a thousand such sites on the archaeological map of Somaliland. Last year, she founded the Horn Heritage non-governmental organization. – It will help us to continue field research, train people and introduce a pilot project of digital consolidation of monuments, so that everyone can access distant positions – plans.